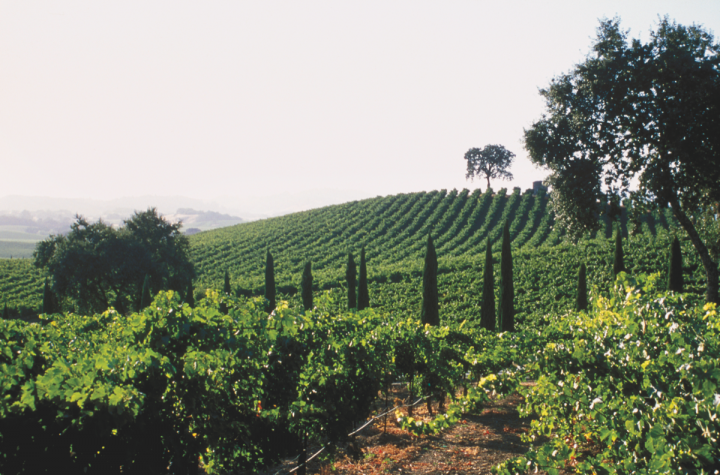 Once a niche, red blends now dominate the discussion in California's premium wine market. 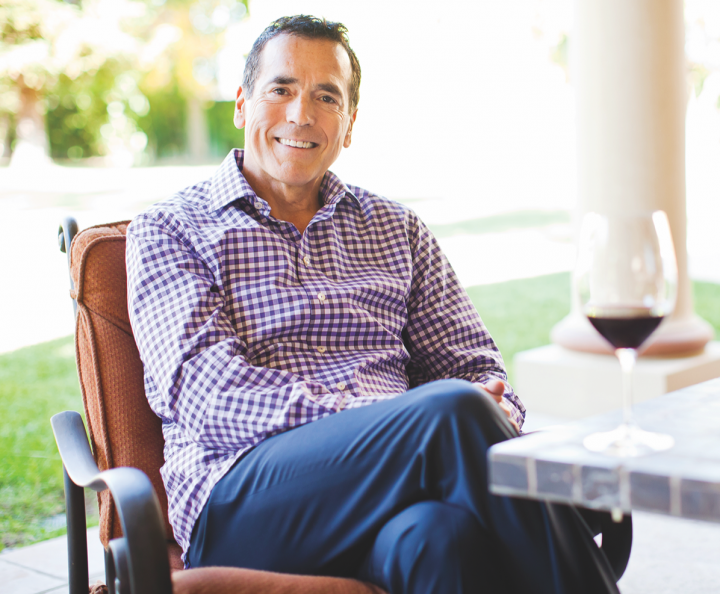 E. & J. Gallo purchased Napa's Stagecoach Vineyard for $180 million in April 2017. The vineyard will supply Orin Swift, among other brands. 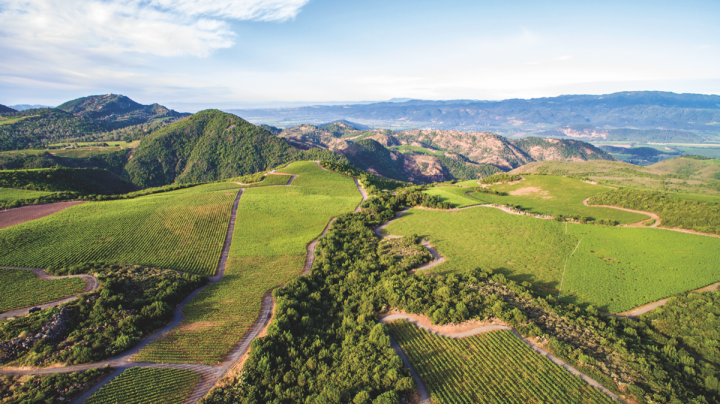 As American wine drinkers become more adventurous in their repertoires, California’s red blends have seen their growth explode. Moreover, the red blend space is now far more diverse than ever before. “A few years ago, a discussion of red blends would be about Cabernet- and Merlot-based wines,” says Paul Lapsley, chief winemaker for Accolade Wines. “But now the category is much larger, and can feature any grape variety. There’s a lot of room for experimentation.” The company’s Geyser Peak brand offers several red blends from Sonoma County. 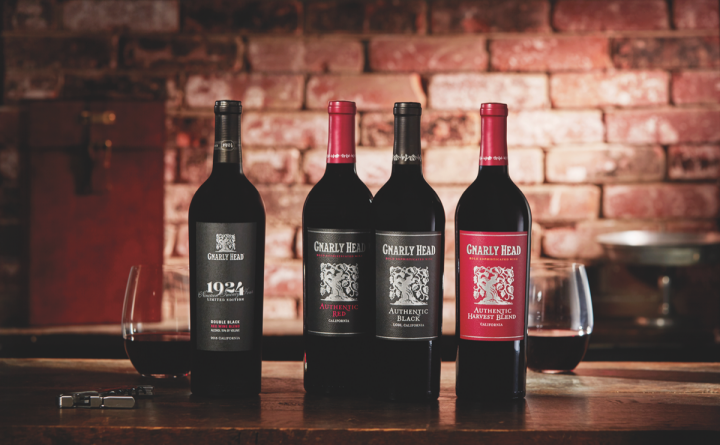 DFV's Gnarly Head red blend range includes 1924 Double Black, Authentic Red Blend, Authentic Black, and Harvest Red wines. Premier California red blend brand Apothic is one such label that has matured with the rise of the category. Launched by E. & J. Gallo in 2012, the brand—which is centered on the flagship Apothic Red ($7 a 750-ml. ), an entry-level blend of Zinfandel, Merlot, Syrah, and Cabernet Sauvignon—was instrumental in the rise of the California red blend, and today it remains one of the category’s leaders, with depletions hovering just below 3.3 million cases. To attract more consumers, Apothic has added a number of higher-end expressions to its lineup in recent years, including Apothic Inferno ($16), a small-batch expression that was aged in whiskey barrels for 60 days; Apothic Dark ($14), a blend of seven red grape varietals; and Apothic Crush ($14), a limited-release, seasonal offering. Amid this profusion of options, red blends are continuing their upswing. In Nielsen channels, the U.S. blended red table wine segment was up about 3.2% to just above 19 million 9-liter cases in the 52 weeks ending December 30, 2017. That number marks a slight slowdown from the previous year, when it grew about 8.5% for the 52 weeks ending December 31, 2016. 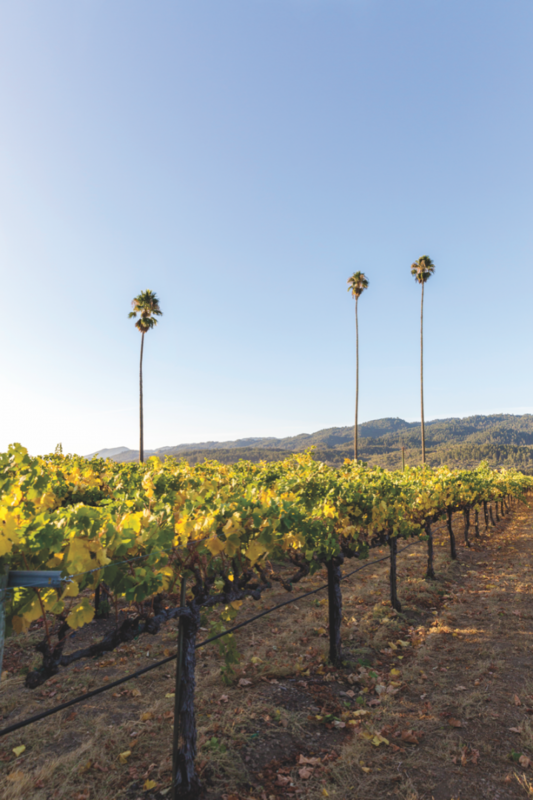 The diversity of California’s growing regions lends itself to a variety of consumer taste preferences in the red blend category. Whatever flavor profile consumers are seeking in their red wine selections, there’s likely a California option to satisfy it. Manteca, California-based DFV, for example, markets a broad selection of California red blends under its Gnarly Head brand, as well as Bota Box and Z. Alexander Brown, a collaboration between musician Zac Brown and Delicato winemaker John Killebrew. The dark red blend Gnarly Head 1924 Double Black ($14 a 750-ml.) is a star in the DFV portfolio. It’s inspired by blends that were popular during the Prohibition era and named in reference to the year of the Indelicato family’s first vineyard plantings. A blend of Zinfandel, Merlot, and Syrah, 1924 Double Black’s grapes were sourced from the company’s Lodi vineyards. The brand also features Gnarly Head Authentic Red Blend, Authentic Black, and Harvest Red (all $12), which are made with grapes sourced from various vineyards across Northern California. Bota Box includes the RedVolution and Nighthawk Black red blends (both $23 a 3-liter bottle), while Z. Alexander Brown markets Uncaged Red Blend ($20) from the North Coast. Gnarly Head depleted 716,000 cases in 2017, with Z. Alexander Brown at 117,000 cases. Whatever flavor profile consumers are seeking in their red wine, there's likely a California option to satisfy it. E. & J. Gallo also entered the luxury red blend tier following its 2016 acquisition of Dave Phinney’s Orin Swift Cellars. The winery produces several different bottlings, including Abstract ($35 a 750-ml. ), a high-end red blend anchored in Grenache. Last year, Gallo cemented its commitment to the luxury end of the red blend category with the purchase of Napa’s prestigious Stagecoach Vineyard, which will be used to bolster supply for Orin Swift, among other brands. California winemakers have many avenues of expression when it comes to creating blended red wines. While some brands hew closely to traditional styles, others like DFV’s Bota Box carve out a place in the market through more atypical approaches. “Innovation has been at the forefront of the red blend category, with sweet red blends, dark red blends, soft red blends and, most recently, red blends aged in Bourbon barrels,” says McManus. In 2014, Guarachi Wine Partners introduced Tenshen red blend ($25 a 750-ml. ), a Rhône-style, Syrah-heavy red blend from the Santa Barbara AVA. Created by winemakers Joey Tensley and Alex Guarachi, the name is a play on the inherent tension in the harvesting and winemaking process. Tenshen has taken off in the market, depleting 16,000 cases in 2017. Guarachi has since released Tenshen White and Rosé. “As consumers graduate from all-inclusive, ‘kitchen sink’ red blends at or below $10 a 750-ml., they often become more interested in the varietal makeup of the blend and varietal influences on taste profiles,” says Travis Arnesen, vice president of marketing at Guarachi Wine Partners. Other brands, like Duckhorn, have chosen to create more classic blended styles. The Paraduxx range ($50-$100 a 750-ml.) includes offerings influenced by iconic wine styles from around the world, including Italian Super-Tuscans and Australian Shiraz-Cabernet Sauvignon blends. The brand’s flagship bottling, Paraduxx X2 Napa Valley Red Wine, is a blend of Napa Valley Cabernet Sauvignon and Zinfandel ($100). Duckhorn’s Decoy label ($20-$25), meanwhile, features predominantly Bordeaux varietals, as does the higher-end Duckhorn Vineyards The Discussion ($135). Similarly, Accolade’s Geyser Peak portfolio of blended California red wines is geared toward the knowledgeable wine consumer. The 2013 Geyser Peak Reserve Alexandre Alexander Valley ($50 a 750-ml.) is a traditional meritage blend of 79% Cabernet Sauvignon, 15% Petit Verdot, 2% Malbec, and 1% Cabernet Franc and was aged in 100% French oak for 20 months. The 2015 Geyser Peak Thermopoli Sonoma County red blend 2015 ($30) is a Russian River Valley Syrah and Viognier blend with Alexander Valley Petite Sirah, while the 2012 Tectonic Alexander Valley red blend ($30) is 83% Cabernet Sauvignon, 15% Petit Verdot, and 2% Petite Sirah, which the company says brings vibrancy and depth to the blend. The Geyser Peak Winery also produces the Uncensored red blend ($12), a combination of nontraditional grape varietals and noble grapes including Zinfandel, Petite Sirah, Petit Verdot, Carignan, Syrah, and Merlot. The wine is a novel option within the portfolio meant to reach beyond traditional blending boundaries and appeal to consumers looking to enter the category at a lower pricing tier. Trinchero Family Estates’ Ménage à Trois brand also aims to attract millennial drinkers who haven’t yet traded up to more expensive wines. The brand offers a diverse array of affordable red blends, each with a different varietal composition and flavor profile. The red blend line extension Silk ($14 a 750-ml.) is a soft red blend of 66% Pinot Noir, 18% Malbec, and 16% Petite Sirah, while Midnight ($13) is a dark red blend of 59% Merlot, 16% Cabernet Sauvignon, 15% Petite Sirah, and 10% Petit Verdot. Meanwhile, the original Ménage à Trois red blend ($13), first introduced in 1996, comprises 48% Zinfandel, 37% Merlot, and 15% Cabernet Sauvignon. “Flexibility in blending allows us to over-deliver on price while hitting a consistent wine style and quality that our consumers demand,” explains Dunlea, noting that a vast majority of the brand’s consumer base is derived from affluent, suburban households and urban millennials. Accolade's Geyser Peak Winery produces traditional red blends geared toward the educated wine consumer. Winemakers and marketers are aware of the challenges presented by the increasing size and diversity of the California red blend segment, which some fear is approaching oversaturation. “As consumers trade up, there will be a rationalization of red blend offerings, but it’s the consumers who ultimately choose the brands that remain in the long run,” says Guarachi Wine Partners’ Arnesen, pointing to the 6,000 red blend SKUs Nielsen has reported as currently active in the market. Because the wines in the red blend segment aren’t typically identified and marketed by grape varietal, it’s up to the winemakers to grab and hold consumer attention through innovation and creativity. “It’s easy for consumers of red blends to move on and walk away wanting something totally different,” says Accolade’s Lapsley. “The winemakers must continue to make red blends that are interesting and more challenging than what’s already on offer.” But he argues that the segment is growing in sophistication, with winemakers experimenting with oak and more savory, food-friendly profiles. Though some see such a seemingly open-ended segment with extensive consumer experimentation as a challenge, others see it as an opportunity. “Because consumers of red blends tend to be more willing to try new things, you’ll continue to see wine companies use this category as an area to introduce new concepts in flavor profiles, aging techniques and the like,” says Duckhorn’s Przybylinski. For now, the opportunities for California’s red blend wines appear to be endless, with something for everyone.